DG Optical Quality Sunglasses Just $7 Plus FREE Shipping! You are here: Home / Great Deals / DG Optical Quality Sunglasses Just $7 Plus FREE Shipping! Squinty eyes no more! DG optical quality EyeWear is an accessory that serves you in more ways than one: fashion statement and eye protector! Featuring 100% UVA and UVB protection, a pair of these shades will keep your eyes looking young. 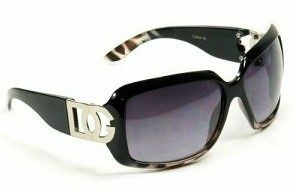 Get these LDG Optical Quality Sunglasses For Just $7 Plus FREE Shipping! 7 styles to choose from!